Was at BPS yesterday. It was dead due to the weather. The only really good deal I found was the Abu C4 6600 for $64. What a disappointment. Hopefully the Sportsman Show will offer some good deals. Fisherman, I was thinking the same thing. As for the C4's, in my opinion, they could drop them another $30 and they'd still be overpriced. I use 4-5 Abus but none of them are C4's. Your wife hangs out at Bass Pro Shops does she Jamie? Take me to school Roy. What's wrong with C4's? no she likes to shop! c4 is a great bass reel, don't expect to it last if you are going to be throwing large muskie baits. What Raf said, about sums it up. Well I wasnt complaining about how dead it was, that was the only positive part of it. I was complaining about the deals. it was amazing to be there with no one in the building. almost like going to the Auburn NY Bass Pro. I just didnt find any deals at all. sure $1 off here or $3 off there, but nothing really spectacular. As for the C4's, if it lasts me 3 seasons at $64 bucks i am okay with that. its just a back up reel that wont be used often. I have a Curado and 2 Calcutta's that are my go-to's and an Abu UC that just wont die. I am thinking about picking up the Diawa made St. Croix's (AC300) if i can find it at a decent price. Never tried them, but I have heard some positive things about them. Anyone have any info on the St. Croix reels? Has anyone used them? How do they fair? It was funny too, being there, there couldnt have been more then 50 people in the store and I saw 9 other people from the Hamilton area. What a fun drive in that weather. Actually Mike they have a ton of really great deals going on there right now. They are selling the new Shimano Saros Spinning reels for $129.99 plus if you did the reel trade in they came down to $105... that's below cost!!! The Curado's were on fire and they sold out at $150 with the mail in rebate... 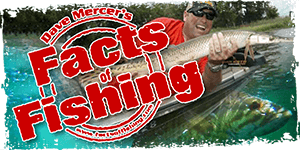 They have a ton of Strike King Shaw Grigsby soft plastics at $1.49, Storm Swimbaits at $1.49, Lucky Craft Rick Clunn crankbaits at 50% off for $9.99, all zoom 30% off, BPS tubes and stuff, 4 for $10... and that's just for starters.... I can't figure out how they can do it for that with their overhead!! I haven't gone through the Musky section but there was a ton of other stuff at a big savings. I loaded up pretty good on the Zoom and the Shaw plastics.... where can you get 20 - 7" worms for $1.49? This Thursday the oil goes on sale and the Plano/BPS 370 trays are 5 for $10. There is more but I feel like I am starting to sound like a commercial!! haha Okay I should have clarified. For what I was looking for, I didn't find much. As for Deals, yes they have them, just unrelated to what my specs were. I will look at the sportsman show, I want some Yamamoto's for $4 this year again. Okay I ADMIT, I was wrong. Next time I must SPECIFICALLY STATE what I was in the market for. I'd like some more plano's but I find sometimes the hinges break, i get the same with the molded ones too. but 5/$10 you cant go wrong.